MINK Oil. The quality speaks for itself. 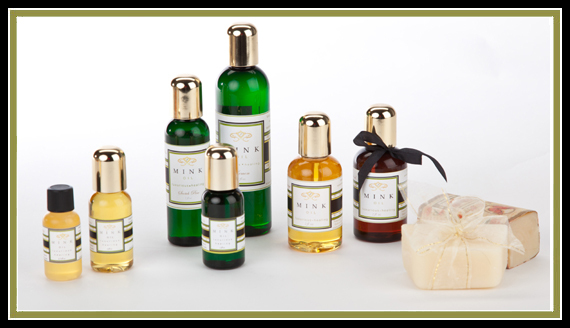 MINK Oil has the ability to moisturize, repair, protect and restore skin to vibrant health without chemicals. MMINK Oil, having incredible absorption properties, will improve your skin noticeably, within weeks of daily use. MINK Oil has been used successfully to reduce wrinkles, improve moisture retention, protect the skin mantle from environmental damage, repair and restore skin to natural balance and vibrant health. Pure Unscented and/or Lightly Fragranced, MINK Oil without chemical enhancements. Because our refined MINK Oil has no smell, we only need to add 1 ½ percent of the fragrance of your choice. We add essential oils (only steam distilled essential oils are chosen) in a variety of fragrances for aromatic and health benefits. All natural, organic, and bio degradable. This is the perfect MINK Oil for soap making, shampoos, Pet care, leather care, or to add scents that would compliment this slight musky fragrance. 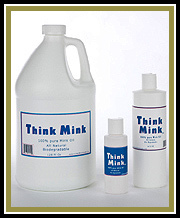 The possibilities are endless: ANY application where skin enrichment and enhancement is the ultimate goal Think Mink 100% Pure MINK Oil is the answer.